GRAFENWOEHR, Germany — I scream, you scream, we all scream – for military kids! 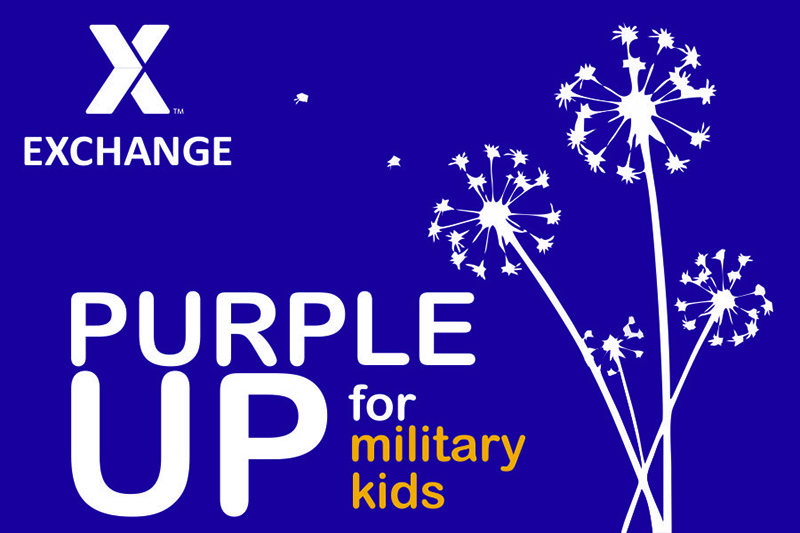 On April 13, the Army & Air Force Exchange Service is celebrating Purple Up Day, a worldwide recognition of the strength and sacrifice of military children, by offering free treats to any child wearing purple at participating Grafenwoehr Exchange restaurants. Purple Up Day is held annually during Month of the Military Child, which recognizes the contributions of Warfighters’ children to the armed forces community. The color purple symbolizes the combined colors of all military branches: Army green, Navy blue, Marine red, Coast Guard blue and Air Force blue.